The crisp, clean, tailored style of a pleated Plissé Shades never go out of fashion with elegant patterns, and rich, textured weaves in stunning colours. Versatile and highly decorative, Plissé Shades are a perfect for any window size or shape. Stylish Plissé Shades can fit virtually any window shape from curved to round or extra - large windows. Perfect for hard to reach roof windows and conservatories. Perfectly measured and fitted by your local Luxaflex® showroom. Each single shade has two stylish pleated fabrics to allow maximum light control and privacy. Curved, large and any shape you can image are perfectly made by Luxaflex®. Plissé Shades are particularly suited to cover skylights and conservatories. 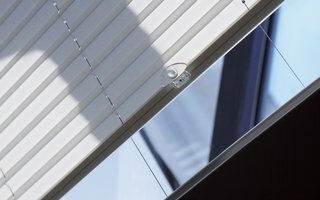 Open your shades from the top, bottom for the perfect balance of privacy and light control. Make your conservatory comfortable with our Topar® Plus fabric coating which reflects the sun’s heat and harsh light and adds extra insulation. Enjoy lazy summer afternoons and cosy autumn evenings with Plissé Shades. The ultimate in versatility, our Top-Down/Bottom-Up Plissé Shades offer you the ability to operate shades from the top, the bottom up or anywhere in between for the perfect balance of natural light and privacy all in one. Liven up your living room, revitalise a kitchen or conservatory, or turn a bedroom into a relaxed, peaceful sanctuary with pleated Plissé® Shades in a range of wonderful colours and textures. The Plissé Shade collection features fifty colours and inspired designs. Here are some of our favourites. Visit your local Luxaflex® showroom to see all the colours and designs. Plissé Shades are wonderfully versatile – with pleat sizes that suit almost every window shape – with transparent to room darkening options. Visit your local Luxaflex® Showroom to see the full collection. Beautiful and practical, Plissé fabrics can be coated in Topar® Plus to effectively manage excess sunlight and heat or DustBlock® our dirt-repelling coating that’s perfect for your kitchen. 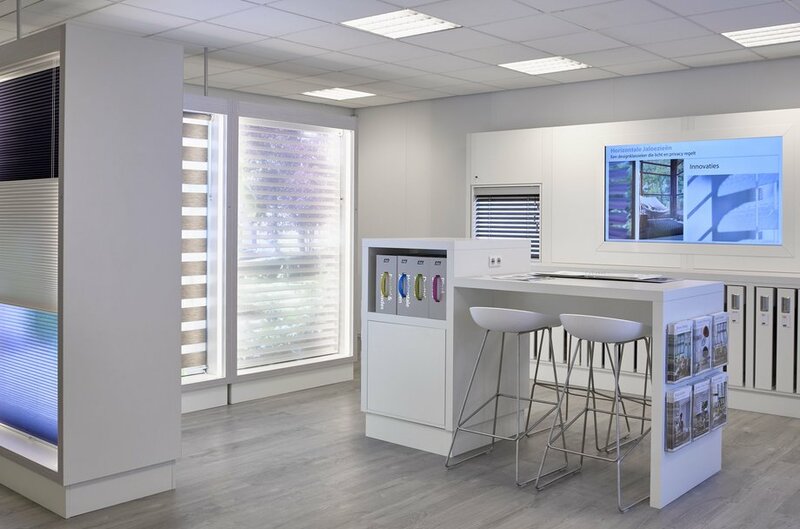 At your local Luxaflex® showroom you’ll get expert advice on the right choice for your home. There are so many different ways to enjoy simple, smooth, effortless operation of your Plissé shades from the unique retractable cord of SmartCord® to the simple push-up, pull-down operation of LightRise® or advanced remote-controlled operations. Why not let your local Luxaflex® showroom talk you through all the options?